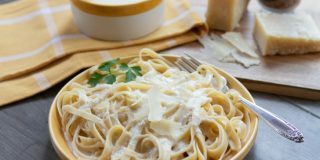 The combination of cream, butter, and Parmesan cheese creates a fantastic homemade Alfredo sauce and a pinch of freshly grated nutmeg adds the perfect complement to the creamy richness. This is a good stovetop recipe to use leftover chicken if you have it, or to quickly sauté or grill it if you are starting from scratch. Frozen vegetables make it quick to prepare. This easy recipe can be made with either chicken or tuna and takes very little prep time. If you prefer, you can make it vegetarian but adding more vegetables and omitting the meat altogether. 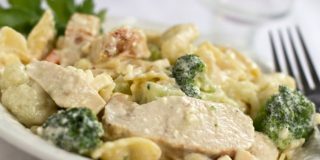 Your freezer stash of cooked chicken and sautéed onions will make this chicken and spinach pasta a snap to prepare. If you don’t have chicken and onions in the freezer, consider this a good time to stock up. 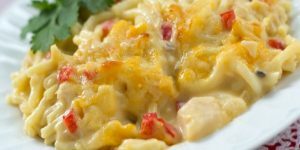 Pimentos and green chilies combine with cheddar to give Cheddar Chicken Spaghetti casserole its unique flavor. The casserole freezes well so if you want to double up on the recipe, it’s a good dish to stock the freezer. 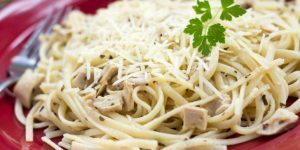 Bulk cooking chicken for the freezer to use in casseroles, stovetop meals, soups, and stews makes recipes like this tasty Chicken Tetrazzini a snap to prepare. Canned soups ease the prep time, but a homemade white sauce and sautéed mushrooms can be used in place of the soups if you prefer. If you have cooked chicken on hand, this dish can be on the table in the time it takes to boil the pasta. 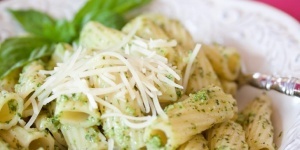 Its lemony flavor is a perfect complement to the pasta and chicken. 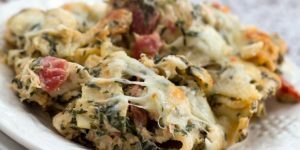 It is a terrific dish to have in your list of quick dishes to make at the last minute because you can keep all of the ingredients on hand in the pantry or freezer. 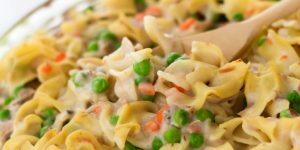 This stovetop dish can be easily adapted to use what you have on hand; the basic recipe can be used in any number of unique combinations. 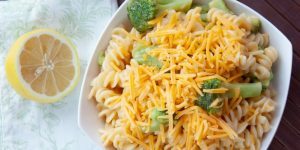 Substitute any pasta for fusilli, any vegetable or vegetable mix for broccoli, add chicken, or experiment with various cheeses. 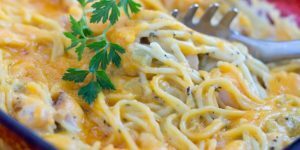 Omit the lemon juice if your combination of vegetables and cheese doesn’t work well with the citrus flavor, and adjust the cooking time of the pasta and vegetables as needed. 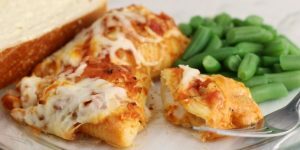 These hearty homemade stuffed shells are filled with a tasty ricotta and Parmesan cheese mixture. 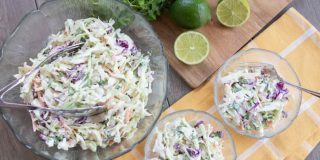 They are filling enough to be served with a simple side or just a salad for a complete meal.